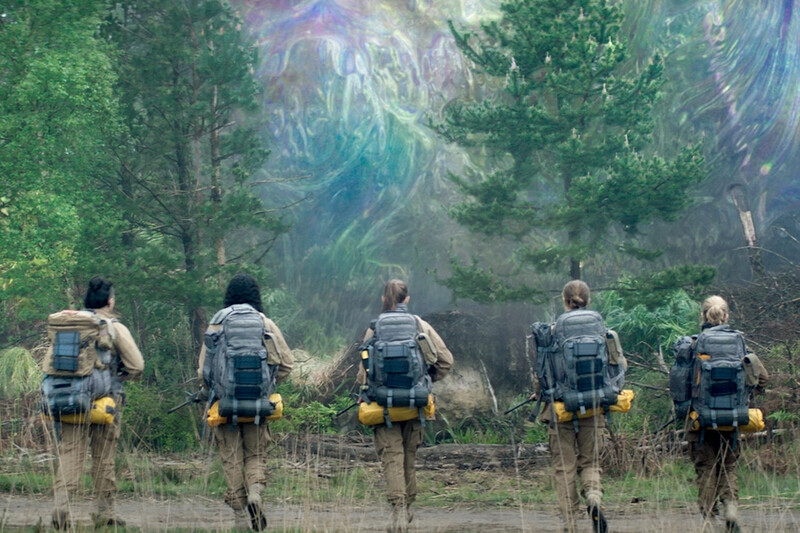 Netflix seems like the perfect fit for Annihilation. It is a movie that would struggle with a traditional classification and certainly doesn’t fit into any genre comfortably. It can be described as a clever science-fiction movie but one that touches upon creation, genetics and in a few cases, horror. 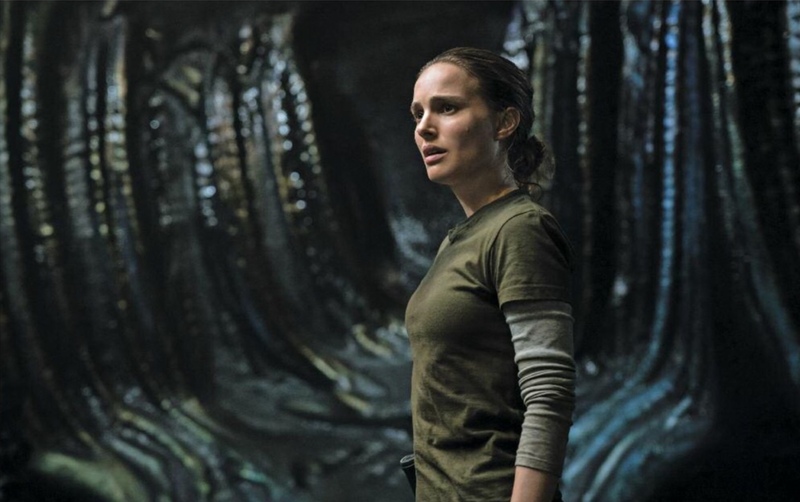 It involves Natalie Portman’s biologist joining other scientists as they voyage into a bizarre event that has occurred on Earth called The Shimmer. Once inside, the movie throws a whole range of different things at you, from mutated creatures through to bizarre growths and formations within the usually swamp-like landscape. The Shimmer is a fantastic creation and visually stunning. It proves the old adage of beauty equalling danger though as for every moment of wonder that the five scientists come across, they also find themselves hunted or killed by whatever The Shimmer has done to this part of Earth. To divulge too much would be to take away from the experience. This is a film best viewed with little knowledge of what lies within this strange environment. With that lack of knowledge comes a great tension which rarely relents. This can be due to the environment which feels alien or the creatures inhabiting this world which have fantastic design and terrify as they come into contact with our voyagers. Some of that tension also comes from within the people themselves and there are moments of reflection which uncover some great revelations about The Shimmer that have huge consequences for the main characters. Those characters are interesting. The five have unique skills, all scientists from different fields, and they all have defined personality traits too. Portman is the soldier turned academic who has an interest in The Shimmer she is keeping secret, while the others each carry added baggage of their own. They are brought to life ably by a gruff Gina Rodriguez, an understanding Tuva Novotny, a cold and calculated Jennifer Jason Leigh and a scared but determined Tessa Thompson. The fact that the principle characters are all female is acknowledged but dismissed as quickly in an effective way. These characters being so clear means that the events within The Shimmer are always engaging. Not everyone makes it out alive and as The Shimmer takes it’s victims, you are intrigued to who will make it out alive and how Portman’s character survived at all. This last point is spoiled by a framing device which makes the events of the film a flashback. This device is effective in places but also removes some of the tension as you delve deeper and deeper into The Shimmer and just want to know more and more as the characters venture further. The lack of a clear conclusion will annoy some though. The finale is a weird, twisted, revelation-filled visual creation which doesn’t always make sense. It looks incredible and at times is as tense and scary as the rest of the film but once events play out, some will feel slightly cheated by the lack of some sort of credible explanation. 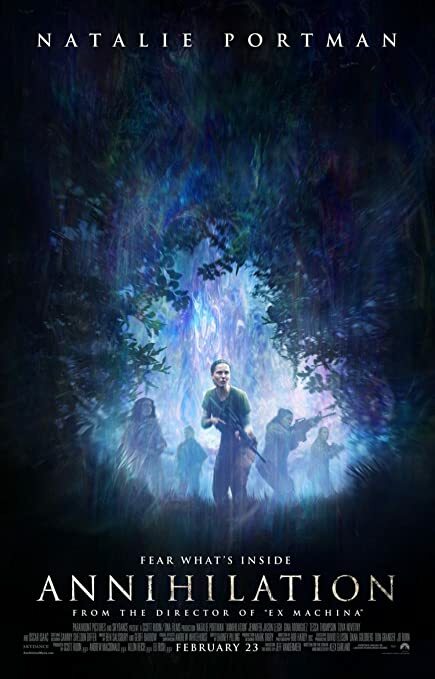 Overall, Annihilation is a very clever science-fiction movie. It has a lot of comments on many different areas but at times presents itself as a clear-cut, tense horror with some innovative creations within The Shimmer. The characters are great and keep you compelled up to the ending which will irritate some with it’s lack of clarity.